One analyst suggests that the reason Netflix split off the businesses is so they could sell to Amazon more easily. There's been a lot of discussion about sales recently, and with Hulu potentially pulling itself from the market, all eyes are on Netflix. The company split off into two recently and one analyst says that he knows why. "Netflix’s streaming has current content deals that provide it with access to movie content during the premium cable TV window," says Michael Pachter of Wedbush Securities, who suggests that the reason for the split was to package the streaming service up for easy sale. 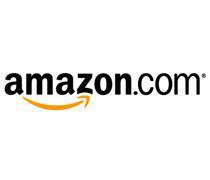 As far as the buyer is concerned, Pachter says that Amazon looks most likely. As analysts go, Pachter tends towards the grandiose predictions and has a habit - especially in the gaming world - of being more of a rock star than an analyst. Still, his idea here makes a lot of sense.